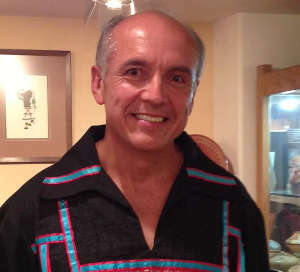 James Ebelacker was born into the Corn Clan at Santa Clara Pueblo in 1959, the son of Virginia Ebelacker and grandson of Margaret Tafoya. 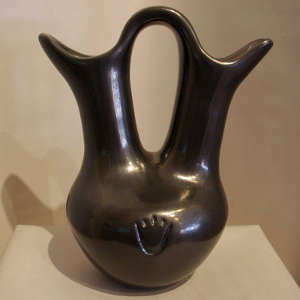 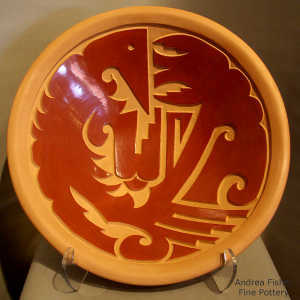 He learned pottery making from his mother early in life, then spent 20 years in the Air Force before returning to his roots at Santa Clara and making some of the largest (and finest) pots produced these days. 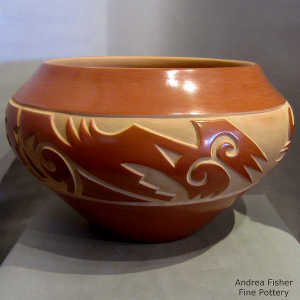 His son Jason has also become a noted potter. 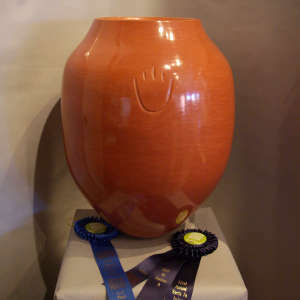 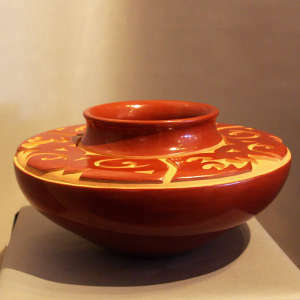 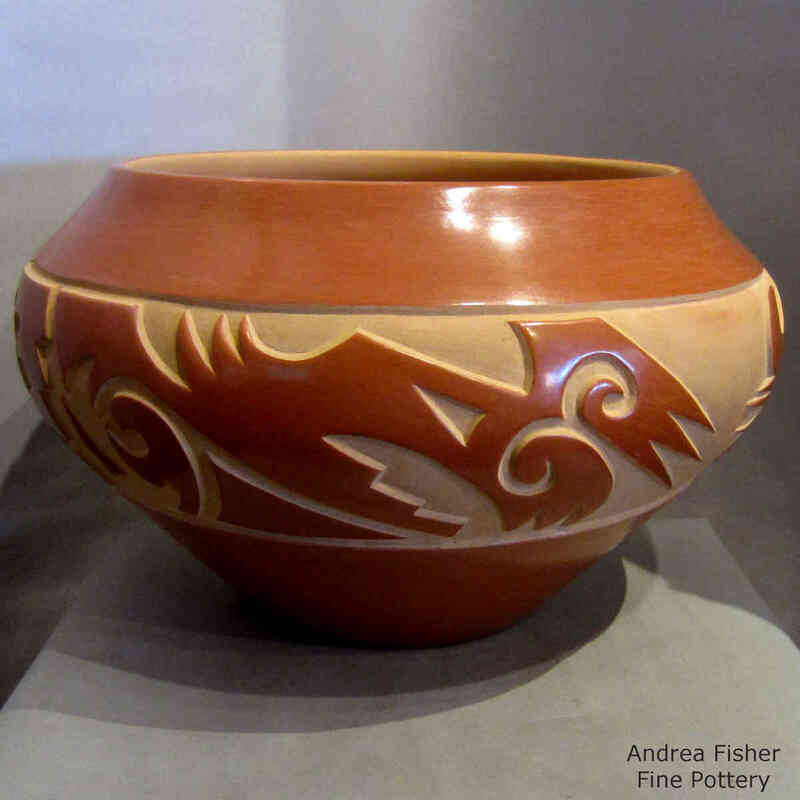 In 2013, James won the Best Traditional Pottery Award at Santa Fe Indian Market.